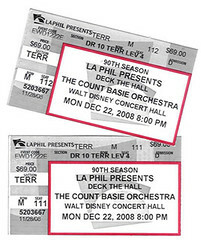 Each year around the Christmas holidays, my husband Peter and I spend an evening at the L.A. Philharmonic. Instead of giving each other Christmas gifts (since we have everything we need), we share a nice dinner at Patina (which is next to the Disney Hall) and it makes for a special yearly event. This season we had tickets to hear the Count Basie Orchestra, and it was a lively evening filled with jazzy holiday fun. 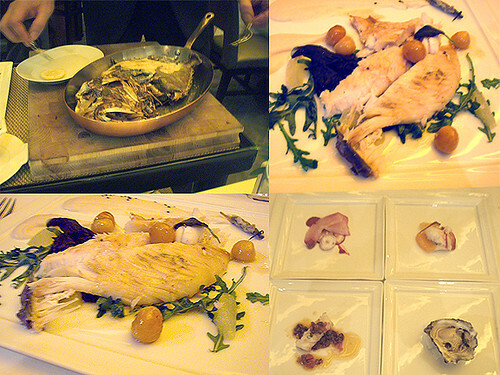 The show started at 8pm, so we had an early 5:45 reservation at Patina. This was on December 22, which coincidently fell in the middle of their famous truffle dinners. The Black and White Truffle dinner was held a few days before our reservation (on 12/19), and I knew there were upcoming truffle dinners scheduled. 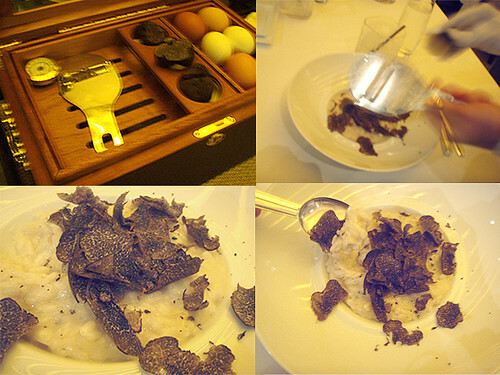 I was hoping there were truffles leftover from the event because I’d never tasted a WHITE truffle. No such luck! 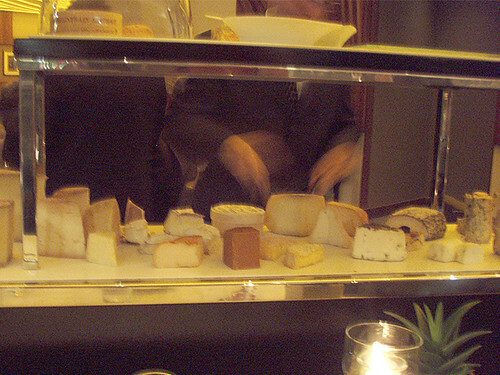 We did get to feast on some beautiful black truffles though and I made sure the rolling cheese cart never left our table for too long. It was another wonderful holiday celebration that included our two favorite things in life … food and music. 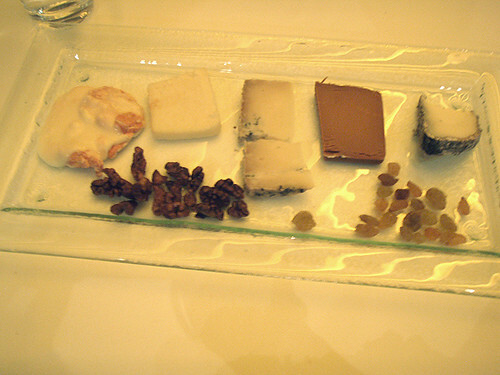 Toma Bleue was a sharp blue cheese. Saint Pierre for Two. Saint Pierre (aka John Dory) baked with a grilled sage, sunchoke-sesame puree, wild arugula, toscane extra virgin olive oil jus.